Finnish is one of the Finno-Ugrian languages. This group also includes Hungarian, Estonian, Lapp and several lesser-known languages spoken in Russia. Some consider Finnish a hard language to learn, but the beauty of the language makes it worthwhile. The frequency of vowels used in Finnish gives it a very pleasant sound. Finnish has regional dialects and different social variants (jargons, slang, etc.). Colloquial Finnish often differs markedly from the standard language. Therefore, the sentences you might learn in class differ from the ones people use in everyday life, though the meaning is the same. 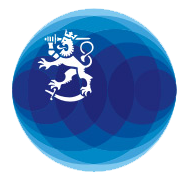 InfoFinland keeps the most updated version of available online Finnish courses. Check it out here.